Should Businesses Bother With The Daily Deals Market? Should Businesses Bother Signing Up To The Daily Deals Market? Posted on 1st July 2011 at 06:23. Once it was the golden boy of the daily deals market, but Groupon’s gloss has worn a little thin of late. As it prepares for public flotation it’s been forced to admit that, in spite of the hype surrounding it, it isn’t really making any money. Any potential investor will have to sit on their hands for some time yet before they start to see any sort of return. So, why isn’t it kicking up a storm any more like it did when it first hit the daily deals market? Is it because customers are no longer interested in looking for a bargain? Well, hardly: the recession’s still with us, and we all like to save a few bob when we can. So then, what’s the problem: why isn’t it raking in the profits? According to Manuel Torres, a business strategist with San Francisco printing firm, Alpha Graphics, the answer’s pretty simple. Groupon charges too much for its services, and it doesn’t deliver value for money. Groupon’s coupon strategy might be one of the oldest tricks in the book, but it certainly worked initially. It goes like this: every day Groupon sends out a major discount offer on a local product or service to thousands of their subscribers. These are time-limited offers, but appeal because of the level of discount offered: quite often the discount can be as much as 50%. Subscribers who like the offer then pay upfront, and when enough people have subscribed the deal goes through. If the deal offered is exactly what you’re looking for, then you’ll be a very happy bunny: if it’s not, you’ll just wait for the next offer to come along. But what’s in it for the businesses who subscribe to Groupon or Living Social? Well, on the face of it, it looks like a good deal as they get their hands on a raft of previously untapped customers. Yet, is it as good as it seems? Not according to Torres. Businesses are likely only to get back a quarter of the usual price of the product or service: yes, that’s right – just 25%. 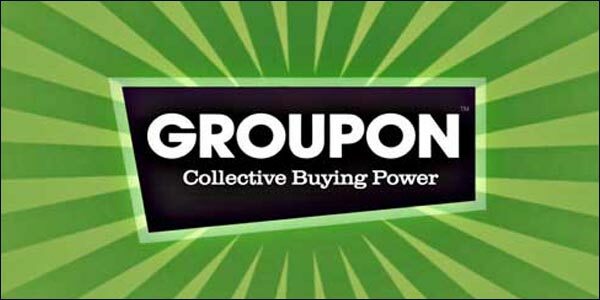 50% is immediately sacrificed to attract the customers, and of the other 50%, Groupon will take half. So if Groupon isn’t cutting the mustard for these SMEs, then what are the alternatives? Well according to Torres the best, cheapest and most effective strategy for building up SMBs is by using a combined old and new media strategy. If businesses use a multi-pronged, personalised strategy they’re more likely to succeed in building a long-term stable business. He suggests using a combination of both Google and Facebook and other social media channels as well as the more traditional methods of leafleting and direct mail marketing. Using Google Adwords allows companies to place advertisements that use specific targeted keywords to reach users searching the platform. Businesses have more control over this system than by using daily deals: they can choose the discount, write the advertisement and set the cost. The benefit is that they know they will only pay when someone clicks on the ad. Torres also recommends building a strong online presence with social networking sites like Facebook and Twitter to reach out and expand their group of regular customers. Businesses can use Facebook and Twitter for instant and direct communication with their core group of customers and offer them rewards for their continued loyalty. They also get the added benefit of word-of-mouth advertising from fans who post about the business to their friends. So if your business is looking to cultivate a lasting customer relationship without breaking the bank, then maybe the daily deals route is the one you shouldn’t be considering. They always say the old methods are the best, but when you can combine the old methods with a bit of new technology and social networking, then you could well be on to a winner. Google Finally Admits To FTC Anti-Trust Investigation Into Search Practices.What Next For Myspace?